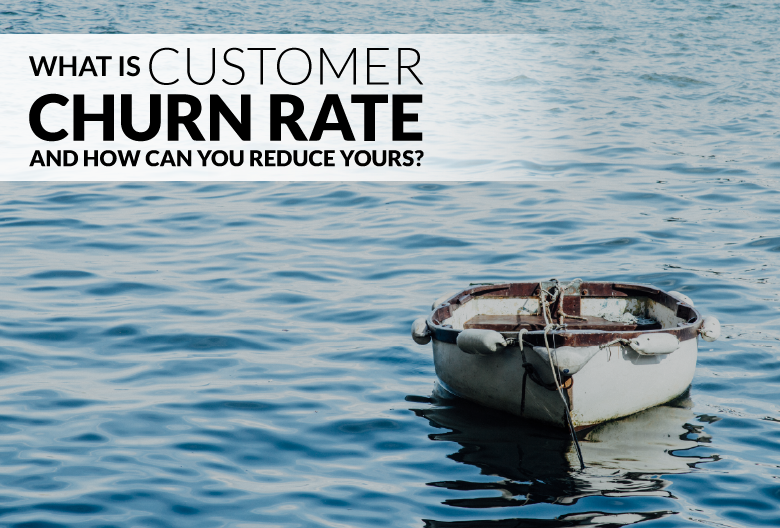 What is Customer Churn Rate and How Can You Reduce Yours? When checking up on your business’ health, metrics like customer acquisition and sales revenue only provide part of the picture. Your ability to grow also depends on the rate at which customers are leaving or cancelling subscriptions. While all businesses should pay close attention to their churn rate, it’s particularly important for SaaS companies that operate on a subscription model. Some of your customers will stick around for decades, but other will drop off your radar as soon as their free trial ends. So whether you’re hoping to speed up your growth or retain more long-term clients, churn rate is a valuable metric that you should know how to measure, understand, and reduce. Your churn rate is the rate at which you lose customers or subscribers. Since attracting new customers costs 6-7 times more than retaining existing ones, a lower rate of churn is generally more profitable, even if any lost customers are quickly replaced. Depending on the business model, the “moment of churn” occurs when someone cancels a subscription, fails to renew a service agreement, or closes their account. This is the easiest method to determine churn rate, but it’s not your only option. 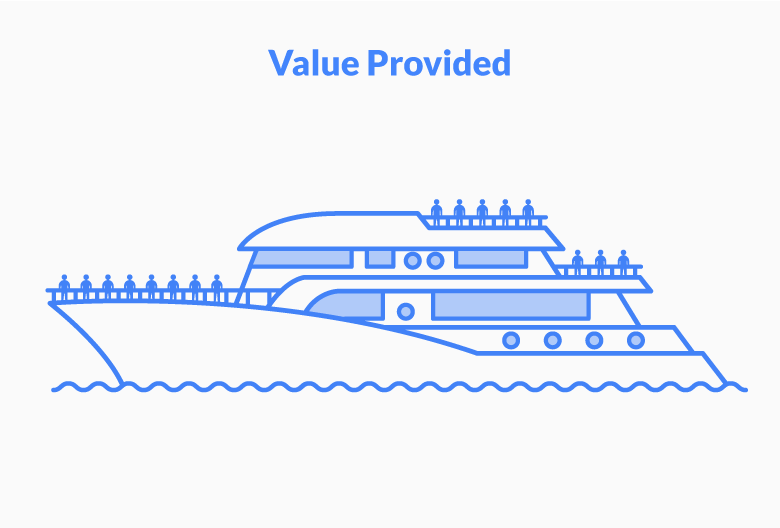 Since many SaaS companies operate on a tiered business model or offer freemium subscriptions, some customers are inherently worth more than others. In these cases, it makes sense to calculate churn based on monthly recurring revenue (MRR) instead. This tells you how much revenue your customer churn is costing you and how quickly those costs are being incurred. For example, let’s say a SaaS business currently has 100 customers and a 5% monthly customer churn rate. That means they’re losing five customers per month. If those customers only account for $5,000 out of $100,000 MRR, this presents a monthly churn rate of 5% based on revenue. However, if those five customers were each subscribed to the most expensive plan (for example, $5,000 per month), then the company is dealing with an alarmingly high revenue churn rate of 25%. If you offer a tiered packages or freemium accounts, it’s important to look beyond the basic customer churn rate formula to determine your business’ potential for growth. Consider how much monthly recurring revenue is lost and what it’s actually costing your business. Average churn rates vary widely across different industries. For example, credit card companies often have annual churn rates around 20%, while telecom providers have significantly lower rates (Verizon often reports a quarterly churn rate of less than 1%). A typical SaaS company has an annual client churn rate between 5-7%. However, various factors can influence your optimal churn rate, such as typical subscription length, customer acquisition cost, and customer lifetime value. Some SaaS companies can maintain healthy margins and growth with a lower-than-average churn rate. Churn rate benchmarks also fluctuate based on the stage of your business: whether you’re a startup, growing business, or established enterprise. For example, a SaaS startup that serves small businesses will have a higher churn rate than enterprise companies with long-term, high-value contracts. Small businesses tend to be more volatile, so startups that focus on serving smaller customers will likely have an annual churn rate of at least 10%. 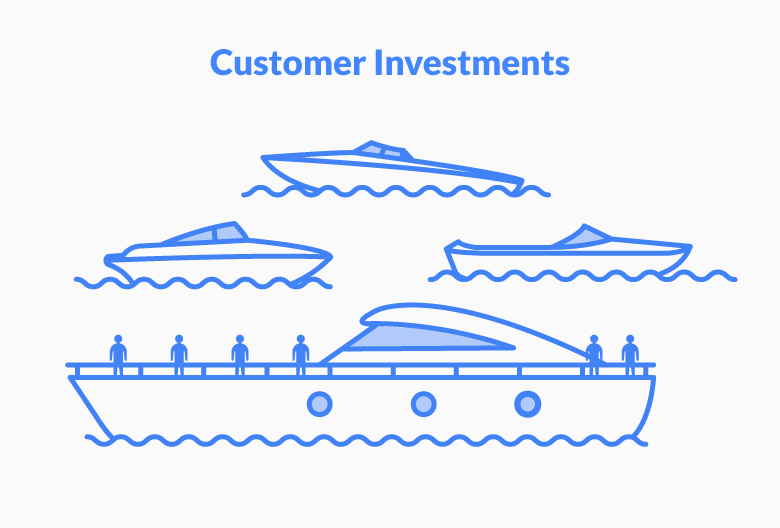 As spend per customer increases through upselling and cross-selling, businesses can reduce churn by investing more resources into customer retention. Additionally, account growth offsets customer churn rate in mid-sized companies and enterprises. The more money a customer invests in your service, the higher their switching costs – and the higher the chance they’ll stick with you for the long haul. An enterprise with customers paying $200,000 or more in annual fees will have very low annual churn rates, likely around 1%. What Factors Affect Churn Rate? Now that you have a better understanding of your company’s optimal churn rate, let’s look at the factors that contribute to your customer churn. With both your platform and your customer service reps. First impressions matter and customers are more prone to churn if they’re unsatisfied with their initial experience, even if they’re on a free trial. Whether your product or service achieves what is promised. If a SaaS company consistently loses customers due to unrealistic expectations, it’s time to revise their marketing strategy or make product improvements. In terms of both time and money. If someone takes the time to learn about your software or integrates it into the rest of their systems, they’ll be less likely to consider switching to a competitor. Are your customers getting the most possible value from their subscription? If they’ve maxed out their benefits at their current level, take the time to speak with them about upgrading to a more comprehensive package. Otherwise, you risk losing them as a customer. Now that you know what affects your churn rate, you can start developing strategies to lower it. Let’s dig a bit deeper into why your customers might consider leaving and how to prevent it from happening. 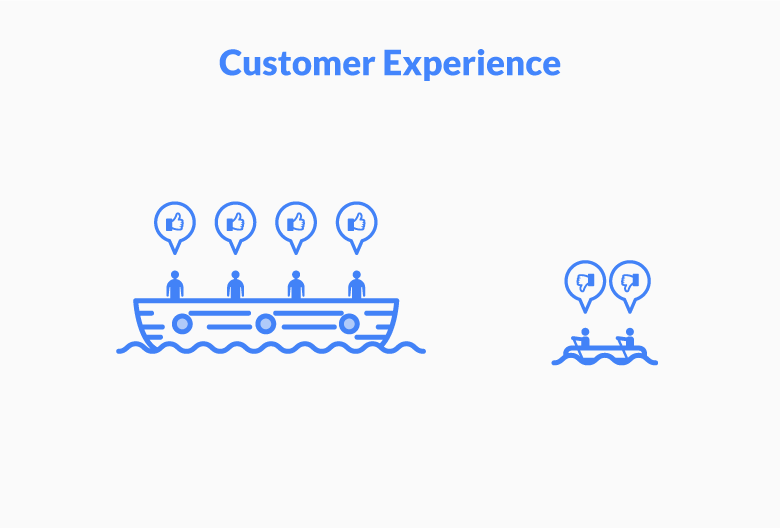 Reducing your churn rate begins with proper onboarding for all new customers. A solid onboarding process reduces instances of buyer’s remorse and encourages new customers to spend time getting acquainted with your platform. Keep your clients engaged by setting up an automated email campaign to welcome them to your service. Once your customers are all set up, you can segue into providing them with more in-depth and informational materials. Whether by sending out an educational email series, inviting customers to attend webinars, or posting informative blog posts or videos, there are plenty of avenues you can take to ensure your customers get everything they need from your service. Consider adding a resource center to your website to house all the educational content you create in one place. Remember, the more time a customer invests in learning about your software and its uses, the better their experience will be and the less likely they’ll be to cancel or switch to a competitor. This is a simple change that can make a huge difference to your churn rate. By giving your customers the option to automatically renew and pay for subscriptions, you’re making it more convenient for your clients to continue doing business with you. At the very least, make sure you’re sending reminder emails about upcoming renewals that require payment or action. A switching cost is the cost to a customer who wants to cancel your service or switch to a competitor. The goal of switching costs is not to make your customer’s life more difficult, but to incentivize them to continue giving you their business. We recommend using positive switching costs – rather than negative switching costs – whenever possible to maintain healthy customer relationships. For example, a negative switching cost would be something like a cancellation fee or contract that prevents them from leaving. On the other hand, a positive switching cost might be a loyalty program or personalized service based on customer data. Your current customers are your most valuable assets. Listen carefully to feedback from both new and long-term clients to see if improvements can be made to your customer service or product offerings. 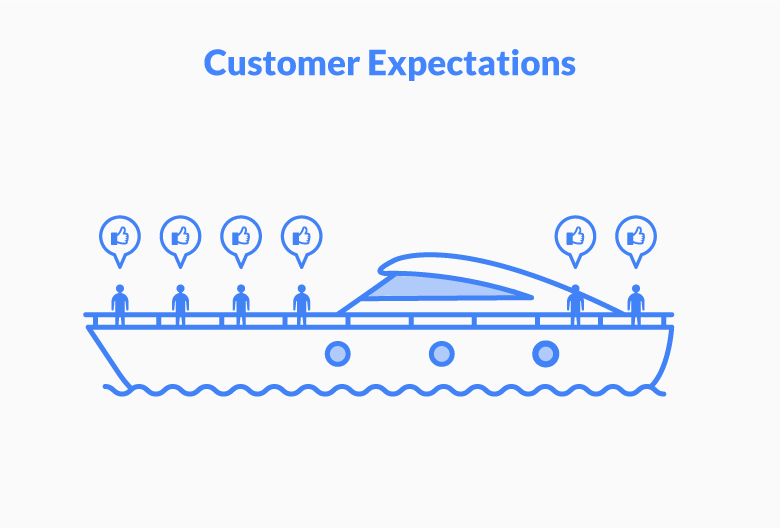 Find out if customer expectations are being met, ensure they’re getting the most value out of their current package, and consider their suggestions so you can create a better experience for all your customers. Once you calculate your churn rate, you can apply some of these tips to improve customer retention. Do you have other suggestions for reducing churn rate? Shoot me a message and we might discuss your ideas in a future post!